China is trying to woo Buddhists around the world to support the Belt and Road — and, eventually, a CCP-approved Dalai Lama. In Bangladesh, Chinese and Bangladeshi archaeologists excavated a 1,000 year old site of Buddhist heritage, Nateshwar, where Atisha Dipankara, a great Indian Buddhist master, spent his early life. The project was funded by the Chinese government. Nepal, the birthplace of Buddhism, happily welcomed the BRI and was offered $3 billion for the Lumbini project, designed to expand the small Nepali town where Buddha was born into “the premier place of pilgrimage for Buddhists from around the world.” The funds for the project were channeled through the Asia Pacific Exchange and Cooperation Foundation (APECF), whose executive vice president, Xiao Wunan, “is a member of the CCP and holds a position at the National Development and Reform Commission, a state agency,” according to Al Jazeera. 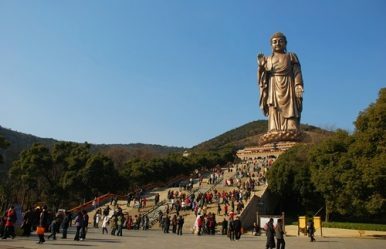 China’s soft power pedaling, emphasizing Buddhist heritage, is designed to reward countries with significant Buddhist populations for receiving the BRI project with open arms. China’s Buddhist soft power is supposed to get rid of their suspicions about the true intention of the Belt and Road.